When will be Hotel Todo Incluido next episode air date? Is Hotel Todo Incluido renewed or cancelled? Where to countdown Hotel Todo Incluido air dates? Is Hotel Todo Incluido worth watching? While exploiting the comedic situations bound to take place in a busy boutique hotel in Mexico, this sitcom showcases the incredibly popular alter egos of comedian Adrian Uribe. The funnyman's well-known and beloved characters play several of the hospitality staff members and guests. 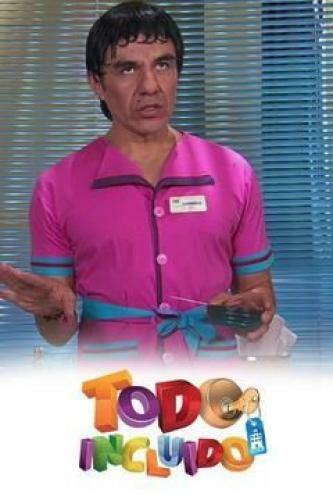 The sitcom also features other popular Mexican comedians, sports figures, actors, and singers who make cameos each week on Hotel Todo Incluido (Hotel All Inclusive). Comedy program where various celebrities come as special guests. Hotel Todo Incluido next episode air date provides TVMaze for you. EpisoDate.com is your TV show guide to Countdown Hotel Todo Incluido Episode Air Dates and to stay in touch with Hotel Todo Incluido next episode Air Date and your others favorite TV Shows. Add the shows you like to a "Watchlist" and let the site take it from there.